Holloway Prison has been an important landmark in Islington for over 100 years. Until summer 2016 it was the largest women’s prison in Britain. Many well-known prisoners have passed through the prison, but there are diverse voices which remain unknown and unrecorded. 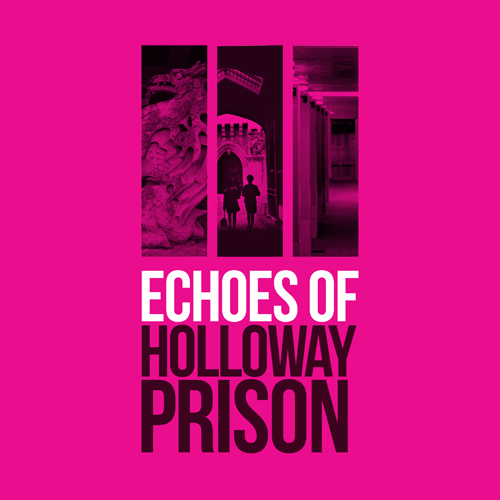 This project, run by Islington Heritage, in collaboration with Holloway Prison Stories and Middlesex University, seeks to capture stories of this highly significant place meaning that, even when it has gone, the voices and echoes of Holloway Prison will remain. There are many ways to take part, whether you would like to share your memories and artefacts, volunteer your time for the project, or take part in the events taking place throughout the project. Or just get in touch on twitter! Our resident artist, Hannah Hull has written an EP, ‘DIRT’ and booklet of poetry in response to the oral histories. She has led workshops in the community to understand what the prison’s closure means for the local area and to share her creative interpretations with the public. Work delivered with Middlesex University and UserVoice to explore the impact of the closure on the women themselves. Collecting more oral histories to further flesh out our archive of Holloway Voices. Continuing to share the stories of Holloway Prison as widely as possible. Keep your eye on our twitter and events page to find out about upcoming events and new resources. Curating a digital exhibition, featuring objects, stories and media from the project. Developing an educational resource to support schools, colleges, university students and community groups in exploring ideas around women in the criminal justice system. This resource will be available online. Continued work with Middlesex University. We are thankful to the Heritage Lottery Fund for their support in funding this project.